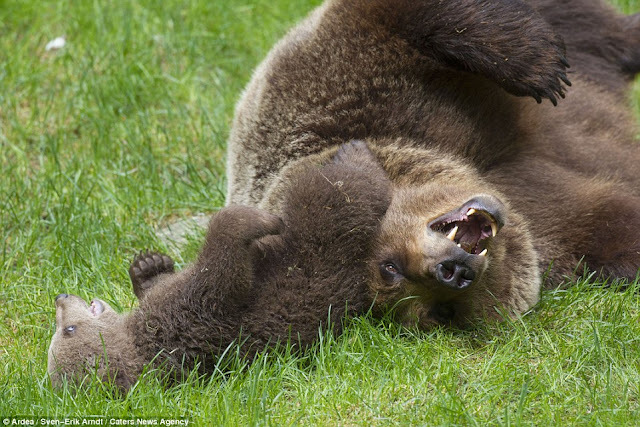 These photographs perfectly capture a baby bear's pure, unadulterated joy as he gets to play with its mother in an animal park in Sweden. 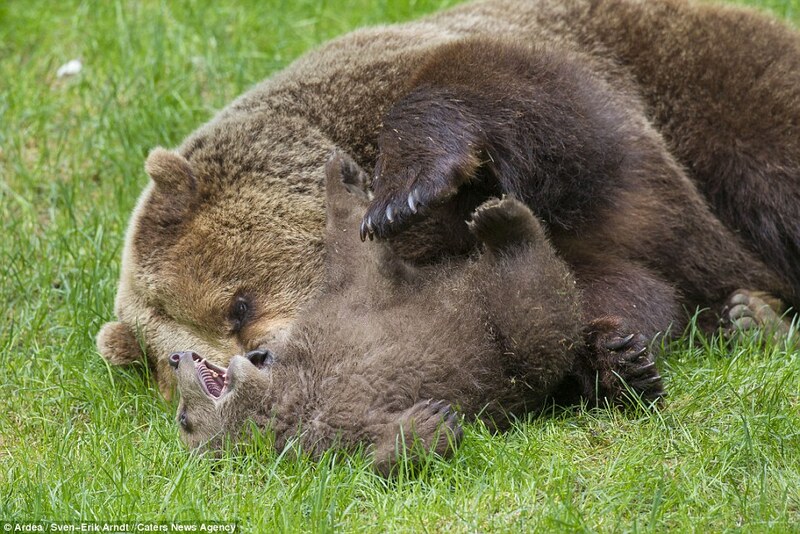 The cub appears to shriek with laughter in its mother's embrace, as she playfully bites her young ones neck before rolling around with him in the grass and tickling him with her huge paws. 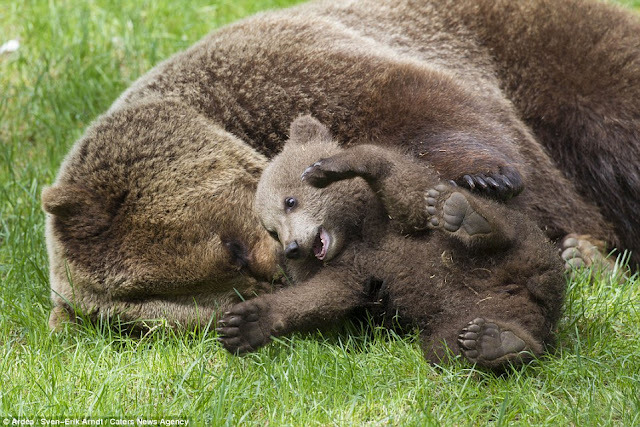 German photographer Sven-Erik Arndt was lucky enough to witness this cuteness overload in northern Sweden. 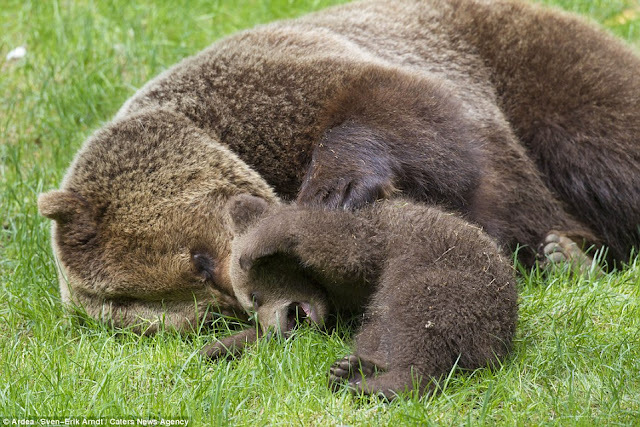 Mr Arndt , 39, said: 'It's wonderful to see a big predator like a brown bear in such a cute situation and how a huge animal can take care of its cubs. Sweden’s vast forests and rolling mountains are home to a huge diversity of animals, few as elusive and mysterious as the Brown Bear, perhaps the most magical of Sweden’s Big Five predators and a timeless symbol of the wild. 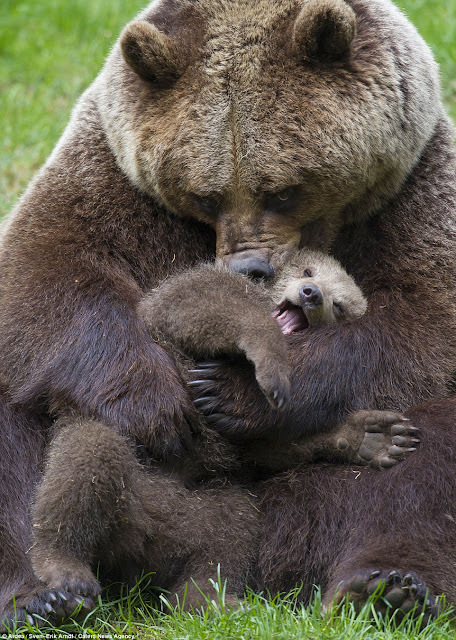 The Brown Bear is a shy, secretive animal, and very rarely seen. Most Swedes, even those living in the areas most densely inhabited by bears, will go their whole lives without ever seeing one in the wild. Responses to "Brown Bear Cub Gets A Cuddle And Plays With Its Mother In Sweden "
Adorable. 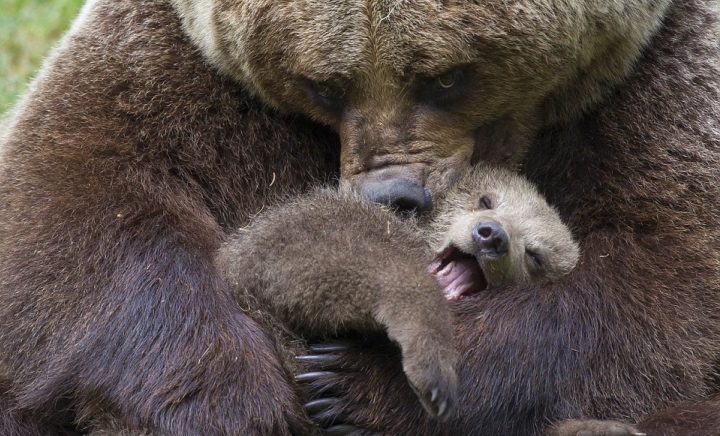 How many people think about how loving wild animals are capable of being? Maybe if more understood the depth of feeling animals have there would be less cruelty. Maybe? Gorgeous and touching. I hope these beauties live safely in freedom. contact your Congress Rep and ask to stop HJ R 69 Alaska's wanting to slaughter them in horric ways, kill them when in their hibernation, slaughter the wolf pups in dens and use airplane to chase them to area where huge bear traps will be set. act now!! Please tell them NO to AK Rep Don Young plans. check his page on FB even Alaskans are telling him NO!